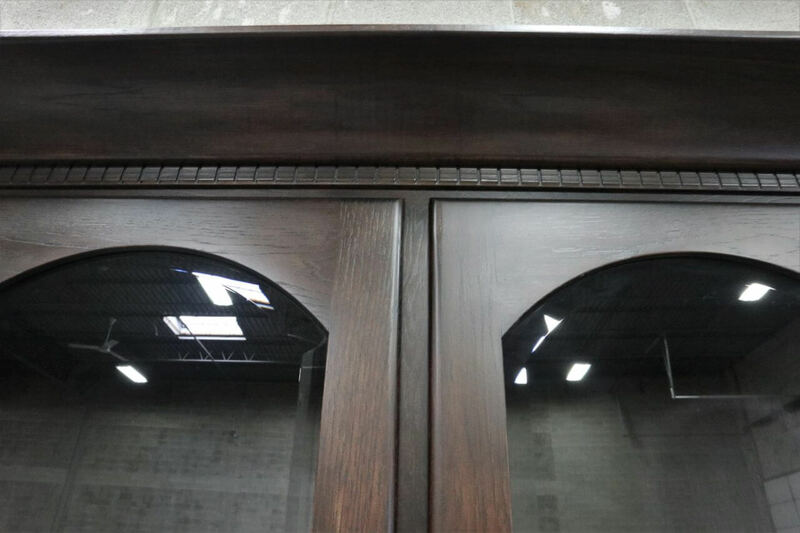 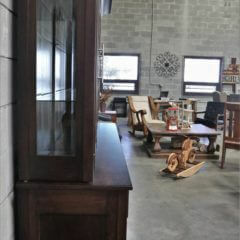 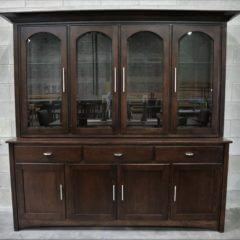 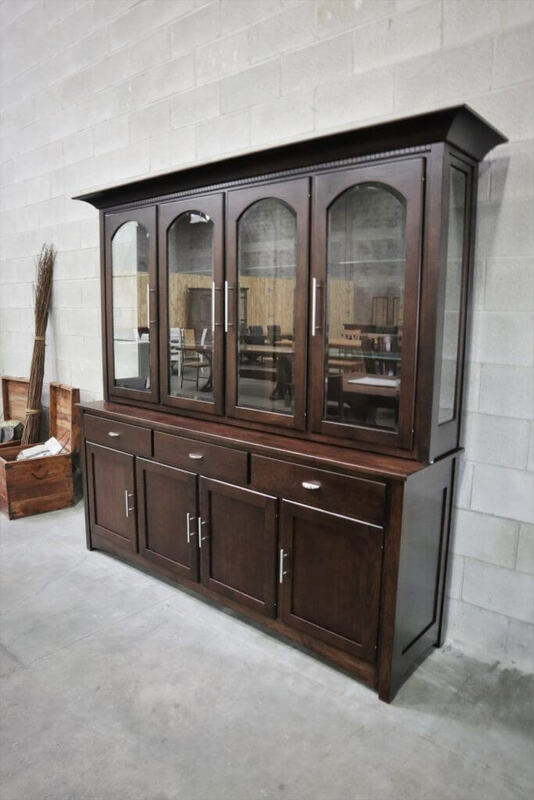 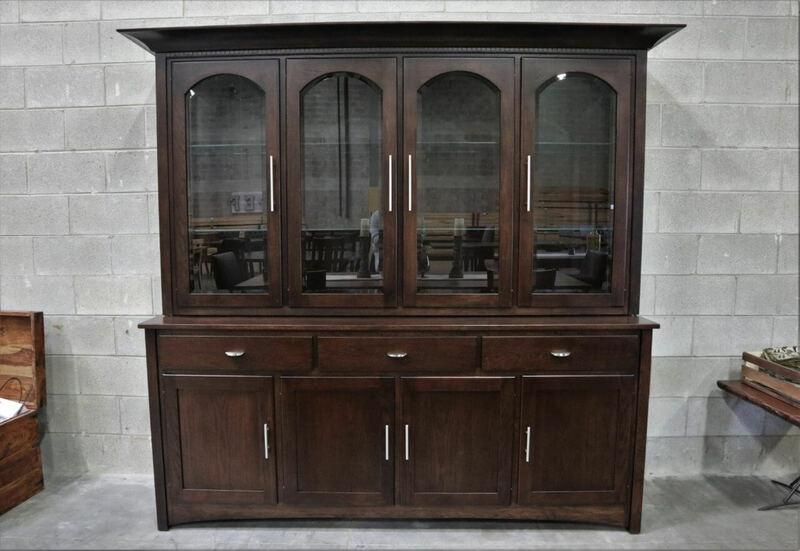 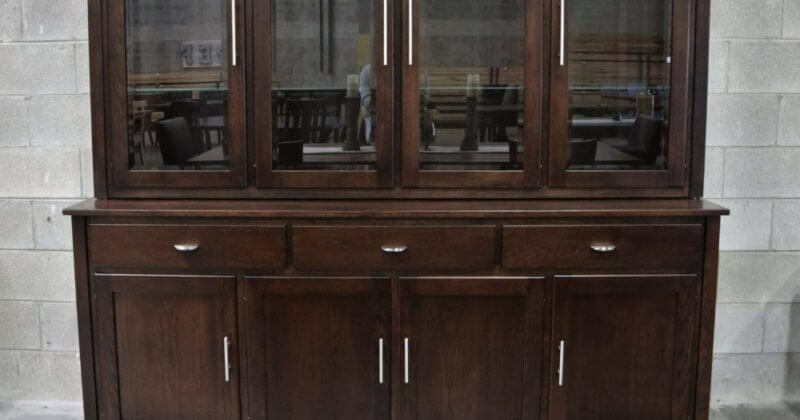 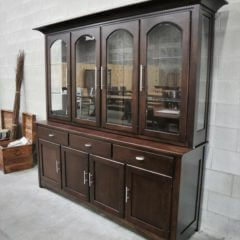 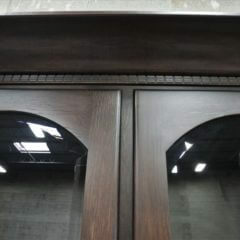 Four door, large hutch in hickory with a Briar stain. 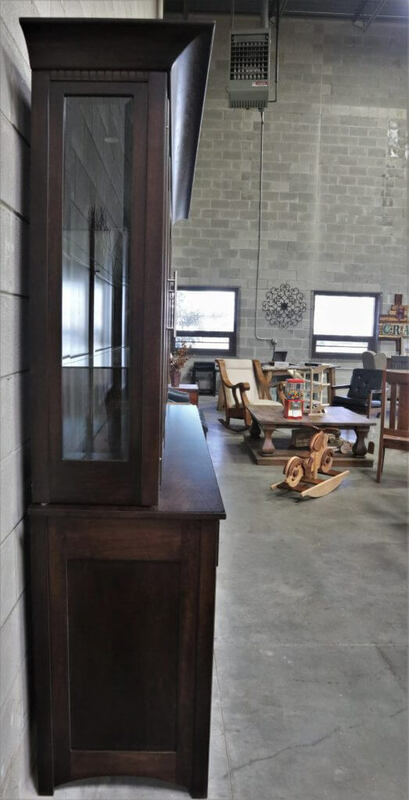 *Floor pieces are sold as is. 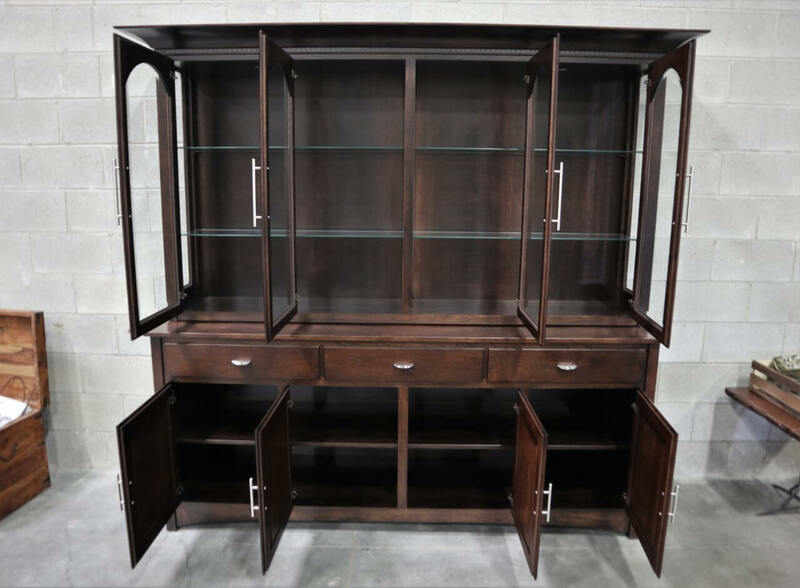 Any desired customization such as color, size, layout, etc can be done by ordering a new piece where specifications can be made. 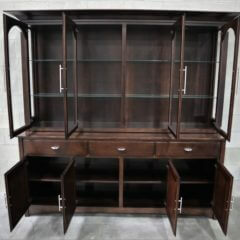 To view all our options go to our Other Furniture tab and select Hutches and Buffets.